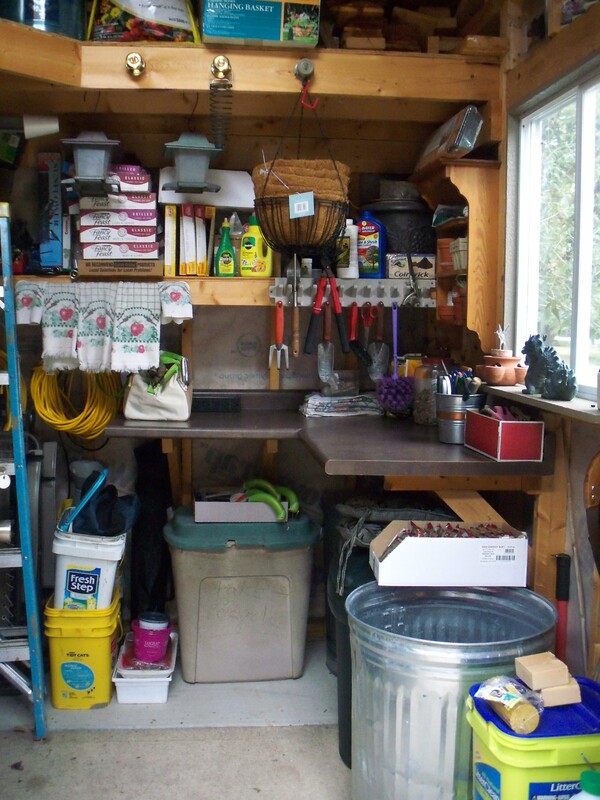 Potting benches get dirty and cluttered! We found this mottled brown laminate countertop in the sale bin. It has been perfect for this space, my purpose and an outstanding value for $5. 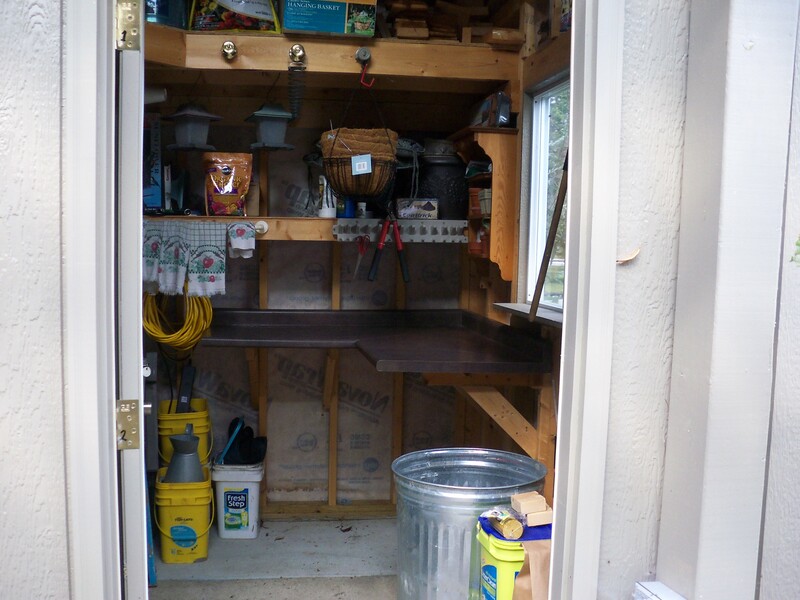 It is installed at the right ergonomic height just below my elbow, which creates a space to tuck away several trash containers storing potting soil and pots. Dividing perennials is the number one project. This is also our central bird and squirrel feeding preparation area. Our fly-in diner serves suet cakes, corn on the cob, thistle, hummingbird nectar, various mixes for wild birds and when the price is right….peanuts. Cleaned and ready for another season. Wow! That looks so clean and organized I would hate to get it dirty dividing perennials. On the other hand, standing at a nice bench sure beats bending over in the yard!